Does your child have a digital babysitter? If you're a parent and you've used your tablet or smartphone to babysit your child at some point, you're not alone. Many parents do the same. At least that's what a survey conducted by an online coupon site shows, as 58% of parents surveyed say they use their gadgets twice a week to babysit. And that's at a minimum. Parents who have a child between the ages of 2 and 13 said they've handed their child a gadget because they either needed some "me-time" or they just needed a break. Child and adolescent psychiatrist Dr. Jodi Gold, who wasn't involved in the survey, said parents shouldn't feel guilty about using their devices to babysit, as long as it's not all of the time. "The reality is that almost all of us use technology for babysitting, it's the truth," said Gold in a TV interview. "So I think there's no reason to feel guilty about it. But I think we need to acknowledge it and make good choices about it and use it in moderation." It's important to make sure gadgets aren't replacing reading time, says Gold, because reading time creates togetherness and it helps push your child's mental development forward. "There's a whole bunch of reasons why [reading] important," she says. "One is that you're interacting. The other is this is: Our cognitive development starts with reading. And you want to be reading to your kids. You want to be reading to them online and with real books, and in person--that's the key." Out of the 2,400 parents surveyed, 25% said they used their gadgets to distract their child, but it depended on the situation. Occupying a child during a family gathering or during a family trip were the most common reasons to grab the mobile device. The child being bored was another popular reason. 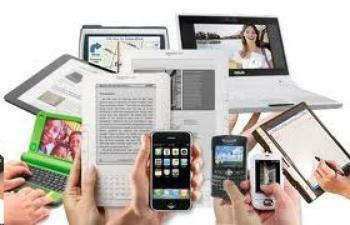 However, a percentage of parents (15%) were against using tablets and smartphones as a babysitter. Almost 50% of parents said they were afraid their kids would either purchase, play or watch an adult video game. About 27% said they wanted to keep an eye on their children while a gadget was being used and 12% said they prefer one-on-one interaction. In a separate survey conducted by Northwestern University's Center on Media and Human Development, 78% of parents said they're fine with their child's gadget use, and it doesn't create any problems. And 59% of parents said they have no concern about their child becoming addicted to gadgets. 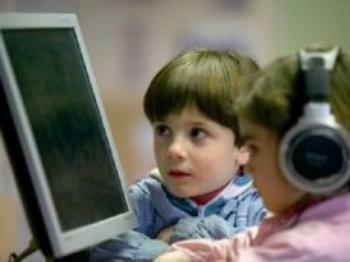 The lead author of the study, Ellen Wartella, said since younger parents grew up with computers, they have a different outlook on how children use modern technology. "Today's [younger] parents grew up with technology as a central part of their lives, so they think about it different than earlier generations of parents," she said. "Instead of a battle with kids on one side and parents on the other, the use of media and technology has become a family affair." And don't think gadgets are replacing TV time. Research shows that people are watching TV just as much as ever and they're connecting those TVs to their mobile devices. 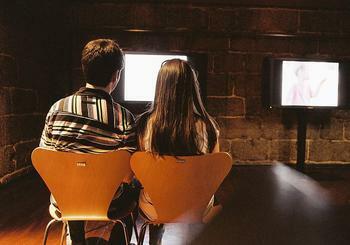 Research shows that less than 1% of households have no television set, 50% have three or more and 24% have four or more. In addition, almost half of households (45%) say they connect their TV to the Internet to either stream or download content. And when families aren't watching TV, it's still on, because one in three households say it plays in the background, even if it isn't being watched. But despite all of that, some parents say they're not worried. "My four-year-old is very well rounded," said one parent who was surveyed. "There is never a dull moment. The television is secondary. We spend a lot of time in the kitchen preparing meals, singing, and reminiscing." But other parents in the survey feel different about how their child uses modern media. "Lately he only wants to play Minecraft or watch Minecraft videos on YouTube," said one mother of an 8-year-old boy. "It verges on addiction." With all of this media use in the home, some might believe that it makes parenting a little bit easier, but that's not the case, say researchers. "Although access to new media is spreading rapidly, it still has not made as much of an impact on how moms and dads parent their young children as is suggested in popular press reports," wrote the researchers. "Very few parents use the Internet or social media for advice about parenting, and most do not think new mobile devices have made parenting easier." And researchers say people are overestimating how much technology is really affecting children. "Despite news reports suggesting that mobile devices are frequently being passed back to children in the minivan or the grocery cart, parents who own these gadgets still reach more often for other tools like books, toys, and TV to help them through their daily parenting tasks." "The vast majority of parents still rely much more heavily on television for their family's entertainment and shared family activities and to occupy, educate, discipline, or reward their children," the researchers wrote.